Dr. Rinky Kapoor is a renowned Cosmetic Dermatologist and Dermato-surgeon expert. She is the Best Skin Specialist in Mumbai and specialises in skin related diseases and offer unique and successful treatment methods for the different type of skin ailments plaguing people. She is also a cosmetologist and trichologist and covers hair, skin and nail care. Dr. Rinky Kapoor is currently practicing in Mumbai, India as a cosmetologist and dermatologist after exemplary tenures working with the Apollo Hospitals in Hyderabad, India and the Fortis Hospitals in Mumbai, India. She is also the co founder of The Esthetic Clinics and heads the Department of Cosmetic Dermatology and Lasers there from 2008 onwards. Her education and training at the National Skin Centre, Singapore and Stanford University, USA have equipped her to treat the various cosmetic requirements of her patients who flock to her from Bandra, Kandivali, Andheri east and Andheri west in Mumbai. She has worn many awards and accolades for her various achievements in this field. She has been award the Best dermatologist in Mumbai award and the Best dermatologist in India awards multiple times, from different agencies, for her innovating treatment methods. Dr. Rinky Kapoor swears by non surgical treatments and is a Skin Laser Expert who deals with various cosmetic ailments using the advanced, non invasive laser techniques. She is skilled in non surgical facial skin rejuvenation and face lift, changing the lives of many thousands of people from Mumbai and world over. She is one of the most favourite cosmetic dermatologists of all celebrities and her patients can come from all the way as Kandivali, Bandra, Andheri (both east and west) in Mumbai, mainly because she produces remarkable results. She treats all diseases including the common ones like acne vulgaris (pimple treatments) including the blemishes associated with it. Acne scars, acne marks, keloids and other scars can also be removed non surgically. Dr Kapoor is the most trusted name in all of Mumbai when it comes to psoriasis, lichen planus, hair fall, fungal and skin infections, vitiligo, skin rashes, dandruff, baldness and auto immune skin diseases. She also treates the serious ones like sleroderma, leprosy, eczema, melasma, skin hyperpigmentation, skin allergies and urticaria. The medical conditions can be treated and the symptoms reduced where necessary. While she approaches the medical conditions like a dermatologist, she also treats the cosmetic conditions like laser hair removal, dark circle reduction, liquid facelifts, Botox treatments, fillers, cellulite treatment, boyd shaping, non surgical facelifes, wrinkle treatment etc as a cosmetologist. The treatment for hair loss – including hair restoration and hair growth and other hair care treatments are also included in her repertoire as a trichologist. In a comparison of cosmetologists, dermatologists and trichologists who offer various and complete treatment methods, Dr. Rinky Kapoor is one of the top five in all of Mumbai, including Bandra, Kandivali, Andheri west, Andheri east. Dr. Kapoor is also constantly updating and streamlining her treatment techniques including facial skin rejuvenation, face lift, using thermage radiofrequency and using the latest advancements in lasers. Dr. Kapoor has been trained by Mr. Boris Kunsevitsky (a Singapore based world renowned training expert on Thermage use) and has been successful in treatments like anti aging, microdermabrasion (skin polishing), dermal fillers, mesotherapy for cellulite reduction, fat reduction and hair regrowth. As a Best Dermatologist in Mumbai, she performs crotherapies, skin grafting, cellulite reduction, varied types of chemical peels, laser procedures including diode hair removal laser, Nd YAG laser for hair removal, Pulse dye Laser, Intense Pulse Light Therapy, smooth beam, laser peels, fractional laser, carbon dioxide laser etc. She is also very aware of the various nuances in the fractional laser treatments including pixel, fraxel and affirm lasers. The fact that Dr. Kapoor is a renowned expert in her field is proven by her successful career and the various testimonials from her patients. She has been educated and trained by world renowned experts of the field and uses that training in Mumbai, mingling her experience with her innovation to treat all the cosmetic needs of patients from Kandivali, Bandra, Andheri east, Andheri west and sometimes from across borders. Dr. Rinky Kapoor is also featured in the happening newspapers of India, including the Deccan Chronicle and other national health and beauty magazines like Prevention, My World, etc. Dr. Kapoor has also been sought after for lectures in skin health amongst her medical peers, professional Skin Doctors, cosmetologists and dermatologists conferences. She has also been invited to give lectures to corporate clients and celebrities regarding various topics related to skin, hair and general healthcare. She has been tirelessly working towards breaking many myths associated with cosmetic treatments and focuses on bringing reliable skin care, hair care and nail care to the general public at affordable rates. Her diagnosis, treatment and management of all diseases, rare and simple including nail and hair disorders are remarkable and result oriented. Evidence based expert dermatology is Dr. Kapoor’s speciality. If you look into the mirror and see things that are not to your liking, don’t worry because you are certainly not alone. There are lots of people just like you and for them, finding the best skin specialist in Mumbai, Andheri East Mumbai are important. If you are in the same boat and looking for the best Skin Doctor in Mumbai, then here are tips to get you started on your search for the best cosmetologist. Don’t get confused: That’s right. There are lots of best dermatologists and cosmetologists in Andheri East Mumbai but it is a good idea to not get overwhelmed because that will hurt your judgement. The better thing to do would be to take your time to find best Skin Doctor in Mumbai whom you like and with a cosmetologist you can have a working relationship with. This will help you get rid of your skin problems and give you the confidence boost you want. 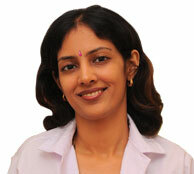 Experience: The best skin specialists in Mumbai are the ones who are experienced. Experience is something you should certainly look for in the best skin clinic in Andheri West Mumbai. However, just counting the years of experience the best Skin Doctor in Mumbai has will not do anything for you. You need the best dermatologist specialist who has hands’ on experience in the procedure you need done. So take your time in finding the best skin doctor in Mumbai. Go online: Going online to find the best dermatologist and Top Skin Doctor in Mumbai is a good idea. Checking out the dermatologist’s website in question before landing up at the dermatologist’s clinic will give you a good idea of what kind of services are performed and what you can expect. A professional website is something you can expect from the best dermatologist specialist in your area so go ahead and open up Google. Technology and equipment: Checking out the technology and equipment that is used in the clinic of the best cosmetologist specialist in Kandivali Mumbai is a great idea. But for that, you will have to go in person. Go with a prior appointment and don’t commit to any course of treatment before you take a look around. Is the clinic professional? Is it clean? Does it look like it is equipped with the latest technology that will help you? If the answer is yes, then you have got your pick. Get the advice of friends and family: It is always a better idea to trust people you know than to trust the advice of strangers. So if you have a friend or family member who has got treatment from the best dermatologist specialist in Mumbai, make sure that you ask her who it is. She will have names you can make use of and you can be sure that you are going to a place that has a proven track record. It is a lot better than to choose a dermatologist specialist blindly. Costs involved: It is a good thing to talk about costs upfront. The truth is that most people think about money and if you are the same, then thinking of costs before you decide to undergo a course of treatment with one of the cosmetologists in Mumbai is a good idea. It is also going to ensure that you are not worried about costs later on when the bill arrives. So when you go for the appointment, talk about the costs involved for treatments and procedures you are planning to get done there. This will ensure that you know what you are getting into financially and will serve you well in the long run. With a little bit of effort, you can find the best skin specialist in Mumbai without much trouble. Start with Dr. Rinky Kapoor, who is one of the top dermatologists, at The Esthetic Clinics. Dr. Rinky Kapoor the Best Dermatologist in Mumbai and an expert in the Carbon Dioxide (CO2) laser skin resurfacing, Erbium YAG laser treatment, Q switched Nd TAG laser, Radiofrequency like Accent Ultra and Tripollare and many other skin laser treatments and hair lasers.